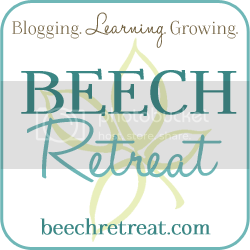 Homeschool Creations is giving away a ticket to the BEECH retreat. This is a little getaway and conference just for bloggers. It gives bloggers the opportunity to connect with and learn from other bloggers. I would really love to win this ticket as I am new to blogging and need all the advice I can get in order to get my blog up and running. If you would like to learn more about the BEECH retreat and which speakers will be teaching check out the BEECH retreat website by clicking on the image below. « Halloween 2012 – Good Times!